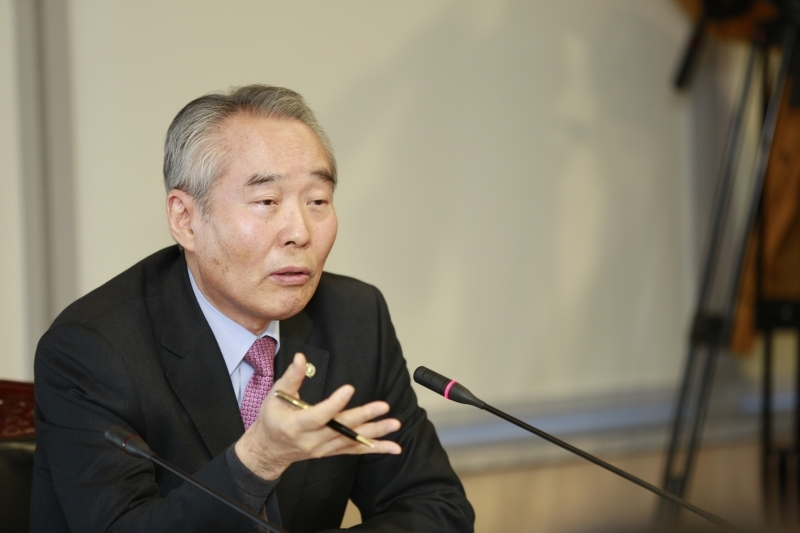 President Moo Je Cho (UNIST) speaks at a press conference, held at UNIST on Wednesday, March 4, 2015. That status change of UNIST could only have been achieved with the dedication and joint support of all members of UNIST, the Ulsan government, 1.2 million Ulsan citizens and Ulsan politicians from both the ruling and opposition parties. I deeply appreciate all your efforts, time and sincerity. Now, it is time to make concerted efforts in making of UNIST into another MIT or Stanford of Korea. I believe that would be the way we can respond to the supporters of UNIST who have tirelessly given their time and energy. The law revision will bring many changes to the system. I would cordially encourage you to put your best efforts in creating of the fundamental foundation with new systems and regulations as UNIST makes a quantum leap.